Uganda-Tanzania Oil Pipeline (file photo). Officials from Uganda and Tanzania plan to meet this week to finalise on the joint pipeline project from Hoima to Tanga. Since the project's inauguration in August 2017, there have been a series of technical meetings between the government of the two countries, but analysts say they have not covered much ground. Now, the National Project Co-ordinator for Tanzania from the Ministry of Energy, Salum Mnuna, hopes the five-day ministerial meeting -- starting on January 21 -- will finalise how to operate, execute and supervise the project given the different laws in the two countries. Other pending issues are the registration of companies to be involved in the project, distribution of revenue, issues related to defence and security for both countries, and citizen participation in the implementation of the project. The execution of the 1,445km stretch of underground crude oil pipeline from Hoima in Uganda to Tanga in Tanzania has been in limbo since its inauguration, which has caused concern among stakeholders. During a ministerial meeting held in Dar es Salaam, Uganda's Minister for Energy and Mineral Development, Irene Muloni, said, "Nothing is in place yet despite both countries having finished their feasibility studies." According to Ms Muloni, the financial model seems to be one of the major reasons the assigned companies have not yet made the final investment decision. This is setting back the goal of transporting oil by 2020. The three companies involved in the project are Total Oil of France, China National Offshore Oil Corporation and Tullow Oil of the UK. If the project started as scheduled then it would have been complete by 2020. 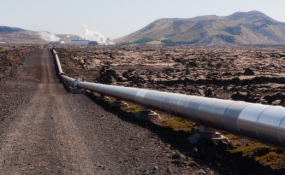 The project referred to as the Uganda- Tanzania Crude Oil Pipeline is also known as the East African Crude Oil Pipeline, and is expected to cost $4 billion. The pipeline is expected to have the capacity to transport 216,000 barrels of crude oil every day. It will be 24 inches in diameter, and Uganda will pay Tanzania $12.20 for every barrel of oil that flows through the pipeline. Upon completion, it will be the longest crude oil pipeline in the world. It will also be constructed in a way that enables it to heat the crude oil. Copyright © 2019 The East African. All rights reserved. Distributed by AllAfrica Global Media (allAfrica.com). To contact the copyright holder directly for corrections — or for permission to republish or make other authorized use of this material, click here.